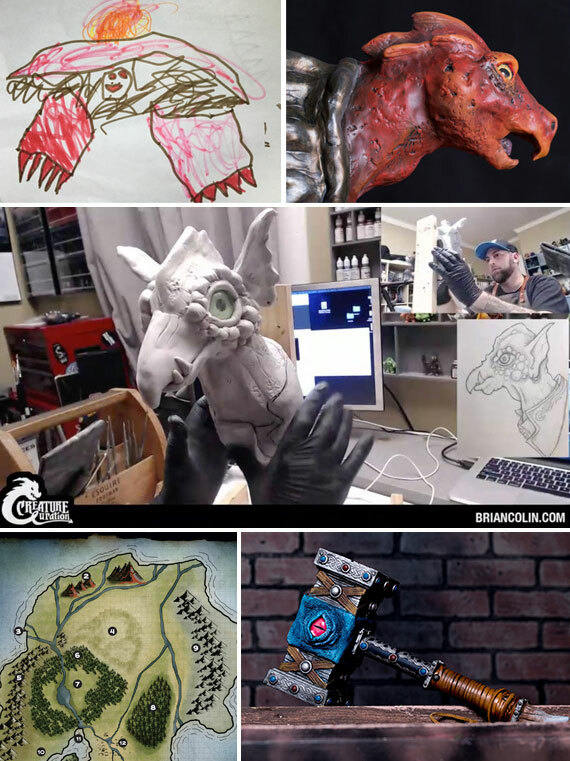 Brian Colin is creating his fantastic World of Revilo through sculpture, stories & more! My name is Brian Colin, and I draw, paint, sculpt, or design all the fantastical monsters who have found their way into my imagination. At the heart of all of my efforts is the fantasy world of Revilo that I explore when I close my eyes. If my creatures and the world I am creating put a smile on your face, or spark something in your own imagination, consider becoming a member of this exclusive group. The adventurous joining on this epic quest will be greatly rewarded! I truly enjoy sharing my art and want your help in determining the direction in which Revilo grows. You will see how everything is made, be able to ask questions, and influence my imagination as creatures are born. The more people who join us, the more time I will be able to spend building this world and the greater it will become. It will also allow me to experiment more with different mediums and styles. If you decide to become a Patron physical rewards will be mailed at the beginning of each month to the address you provide. If you’re not familiar with Patreon, it can seem a bit odd. Think of it as a tip jar. If you like my art and enjoy what I create, then help to further my endeavors. If you love what I make and want me to keep making more, this is a great way to help me get closer to supporting myself through my art. As a thank you I will do my best to provide insights and content with you a Patron of the Arts that I don’t share with anyone else. You are a true collector. You will receive a limited edition resin cast creature head. There will be a new creature every 6 months. For each of the months between a new sculpt a new color variation will be made. There will only be 15 of each color version made. Any not claimed on Patreon will be available at conventions. US Shipping is included. International shipping will be determined on an individual basis. When I reach this goal I will give away one of my original creature paintings that will be featured in an upcoming RPG campaign book.